The human intestinal tract contains trillions of bacteria that, in a healthy person, coexist with us in a beneficial, symbiotic relationship. 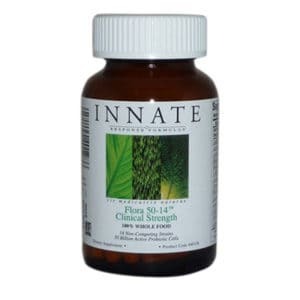 They help digest food, produce vitamins, regulate the metabolism, and control a normal immune response. 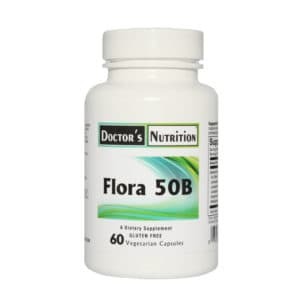 Probiotic bacteria promote a healthy intestinal environment by producing lactic acid and by secreting fatty acids that are helpful to the growth of other beneficial microorganisms. 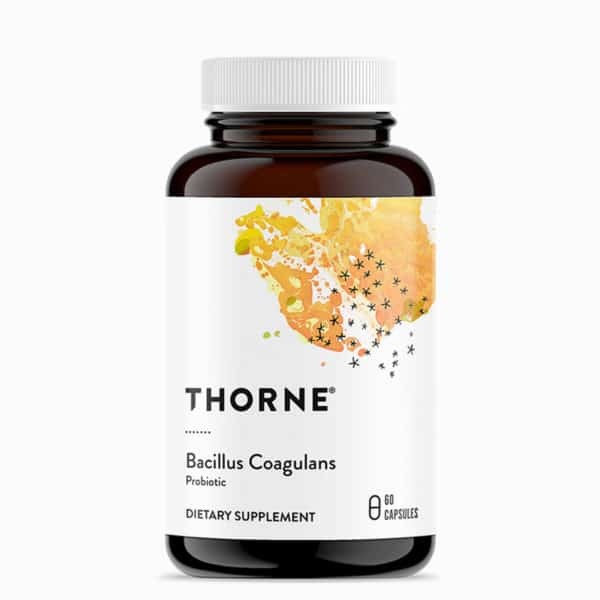 * Bacillus coagulans is a lactic acid-producing bacteria that represents a breakthrough in probiotic supplementation. This beneficial bacteria is dormant in the bottle, then reverts to a growing bacteria in the intestines. * Because of this, it resists being killed by stomach acid; in contrast, many Lactobacillus probiotics lose most or all of their potency before use and do not survive their trip through the stomach. 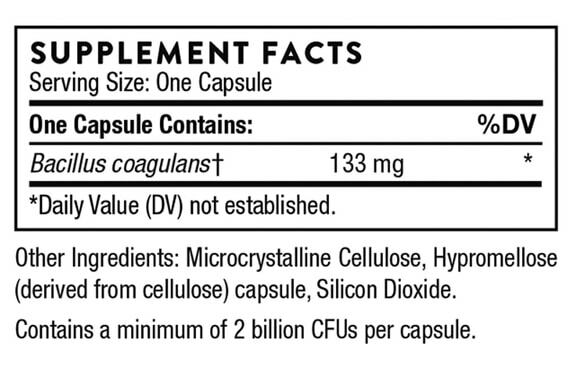 Contains a minimum of 2 billion CFUs per capsule. ALLERGY WARNING: This product is contraindicated in an individual with a history of hypersensitivity to any of its ingredients. This product does not contain wheat, gluten, corn, yeast, soy, egg, dairy products, or artificial colors, sweeteners, or flavors. This product also does not contain lactose, palmitic acid, or magnesium, calcium, or vegetable stearates.